This could well be the best book I'll read all year. It is truly a novel which I wish I could go back and revisit all over again with no knowledge of having read it before. And yet, I will read it all over again anyway, having devoured this elegant tome at breakneck speed because I simply could not put it down! Described as Gosford Park meets Inception via Agatha Christie with a dash of Quantum Leap, The Seven Deaths of Evelyn Hardcastle is a genre-bending masterpiece. At a party thrown by her parents, Evelyn Hardcastle is welcomed home from her lengthy stay in Paris. But before the night is over, she will be murdered. Again. And again. And again... As she has been murdered every night, hundreds of times over. Aiden Bishop is also doomed to repeat this day, over and over, each time inhabiting the body of a different host as he puzzles to solve the brutal crime. He has only eight days to unravel the mystery, before his memories are purged and the cycle begins again. To write much more about this wondrous novel would be to dilute the pleasure of sleuthing through your read. Sleuth you will, my friend, as red herrings and plot twists abound! 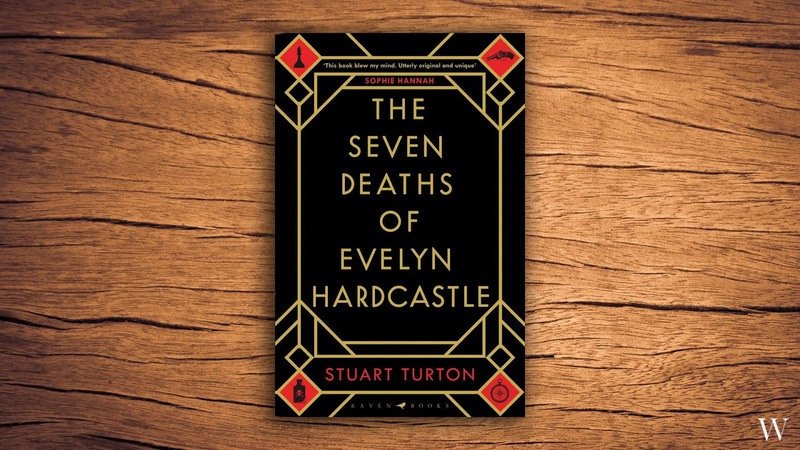 The Seven Deaths is a masterpiece, and interestingly, Stuart Turton's first forage into the field of literary fiction. Buy this now and thank me later! Rating: 5 out of 5 stars. Obviously!